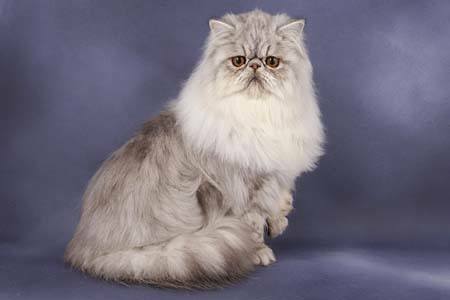 How would you like an in depth look at the Persian cat breed profile from an expert? You've always been attracted to Persian cats and just want to make sure the breed is right for you before finding a kitten. So as a GCCF cat judge and huge fan of Persians I am sure I can help. Let me introduce you to the wonderful Persian cat breed. As quite possibly the world’s most famous breed, Persian cats are prized for their stunning long coats and their short, sweet little faces. Perfectly suited to life as indoor cats, this sedentary breed is always placid and gentle. Ranging from medium to large in size, this beautiful gentle cat craves a life of tranquillity. They are, however, a high maintenance cat when it comes to grooming. So if daily grooming sessions are not your thing then this isn’t the breed for you. It may come as no surprise that the very earliest ancestors of the today’s Persian cats originated in Persia. These beautiful long-haired cats first arrived in Europe when Pietro della Valle, an Italian nobleman, imported eight cats to Italy in the 16th century. This breed of cat was highly prized by the aristocracy in Europe and as more cats were imported they grew in popularity. Persians were first shown at the world’s very first all-breed cat show held in London’s Crystal Palace in 1871. Persian cats have always had a short face, but today’s Persian cats have a much shorter face than those originally shown. Persian cats have short legs in relation to their massive body size, and should have a very long coat. They are a medium to large breed and carry themselves in a majestic way. Their heads should be massive, very broad and round. Persian cats should have strong cheekbones with a short nose that may be slightly turned up. Overall the head should look broad and powerful. They have small rounded ears, spaced well apart and furnished with tufts inside. Persian cats have strikingly large round eyes which they hold wide open. Their tails are short, but well covered in very long hair. Persian cats are famous for their long, luxurious coats. Their coat is very fine and silky to the touch, and both the top coat and the undercoat should consist of long hair. Their coat does not lie flat, but stands away from their body. On average a Persian’s coat will be around 10cm in length. Persians come in a wide range of colours and patterns including tabbies, colour points, torties and bi-colours. They are also available in silver and smoke, black, chocolate, red and cinnamon. In fact, they probably come in just about every colour and pattern combination you can think of! Most Persians have gold or copper coloured eyes, although colourpoints have blue eyes. Persian cats were one of the first breeds of cats to ever be shown. The nickname “furniture with fur” is well earned, the perfect lap cat that is happy to lounge about for long periods of time, taking the description of sedate to whole new levels! Persians are peaceful, none-aggressive cats who have a soft sweet voice. They are very quiet and like to live in calm, tranquil conditions. Persian’s are fine with quiet, gentle children but will not enjoy a boisterous, noisy life and will become stressed easily under these conditions. Whilst they are very affectionate towards their owners, they tend to keep out of the way of strangers. Persians get along well with other quiet cats and cat-friendly dogs. They don’t mind spending some of the day on their own, but are always delighted to see their human. They mature late and are only considered fully grown at 2 years of age. Persian cats can be difficult to breed, so you may have to wait some time if you want a kitten in a particular colour. "﻿The time it takes to groom a Persian cat cannot be underestimated, so if daily grooming does not sound like something you want to do then perhaps Persian cats are not for you." There is no escaping the fact that Persian Cats are a high maintenance breed. They need to be groomed very regularly, ideally on a daily basis. The coat should be groomed with a stainless steel comb and care must be taken to remove all loose and tangled hair, as well as any mats. A Persian cat’s coat can be very painful to it if it is not groomed regularly. Persian cats are one of the breeds that need a weekly bath. If you start doing this when you get your Persian as a kitten then it will soon become used to it. Use a shampoo especially designed for longhaired cats, and take your time blow drying the coat and combing through it to ensure it doesn’t tangle as it dries. A Persian cat will also need its face cleaning on a daily basis due to the tendency for their eyes to tear and stain their coat. Pay particular attention to between the eyes. As with any breed of cat, a Persian will need its claws clipping and teeth checking on a regular basis. All breeds of cat can be affected by hereditary problems and the Persian cat is no exception. 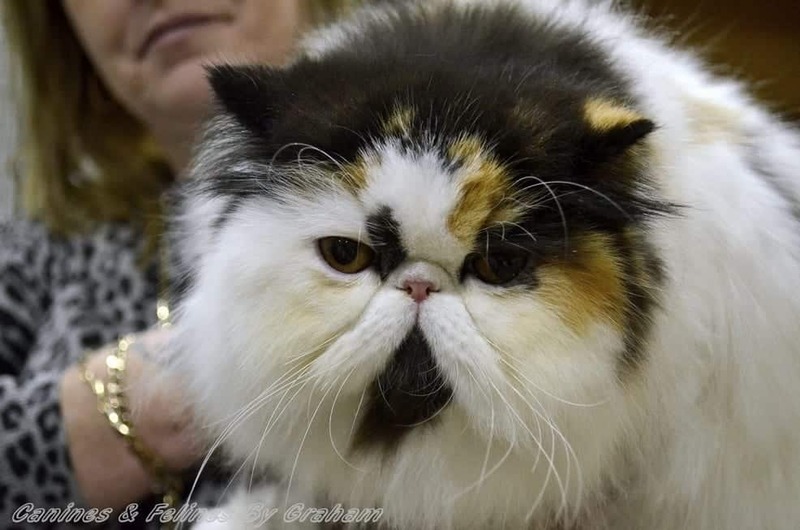 Health concerns that have been known to affect Persian cats, among other breeds, are Polycystic Kidney Disease (PKD), Progressive Retinal Atrophy (PRA), Hypertrophic Cardiomyopathy (HCM), bladder stones, cystitis and liver shunts. 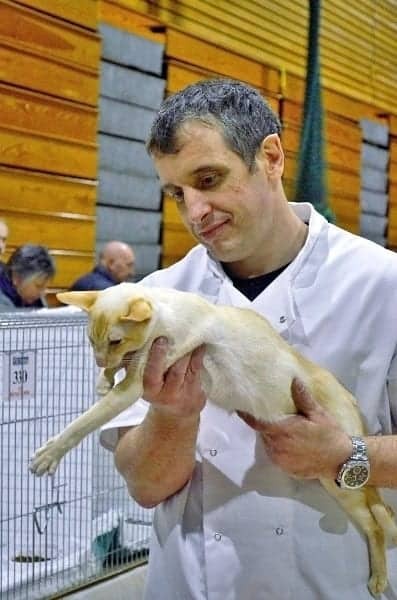 Responsible breeders work to ensure that their breeding cats are healthy and carry out tests to try and ensure that their kittens are not affected by these problems. Persians should be able to breathe normally and, even though their eyes will need cleaning everyday, they should not produce excessive tears. In general, Persians are healthy and hardy cats but do need to be kept cool in hot weather as they are very heat sensitive. Hypertrophic Cardimyopathy (HCM) is a form of heart disease that can be inherited in Persians. Polycystic Kidney Disease, or PKD, is a genetic disease in Persian cats where small cysts in the kidneys can develop. It can result in renal failure. Progressive Retinal Atrophy is present in the Persian gene pool and is thought to cause blindness in later years. Below are some Persian cat pictures including examples of some of the different colours and patterns. Please feel free to contact us if you would like to contribute any photos of your own Persian cats and kittens, we would love to include them! Life expectancy of a Persian cat is generally good with reported lifespan of 12-15 years. How much grooming do Persian cats require? Persian cats require daily grooming sessions. Yes, Persian cats get on well with any friendly animal. I prefer to use the term 'relaxed', they most certainly cannot be described as energetic or active but they do have the odd spurt of playfulness in them.